Welcome to your free sneak peek into a CDI member benefit: Best Practice Tip Sheets! CDI members have access to over 50 tip sheets on every topic from coaching and resume writing to how to take a vacation without losing money. In fact, there are even done-for-you tip sheets you can share with your clients! Tip sheets are just one aspect of CDI value when you join. CDI offers everything you need to up your skills and build a 6-figure career practice. Like what you see in this tip sheet? For a limited time you can join CDI at a $120 savings! Use coupon code RISE19 at checkout. Grab this Freebie Bonus Tip Sheet! No registration required! 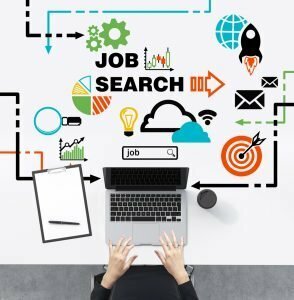 Many career professionals are simply selling their job seeking clients what they ask for and not necessarily what they need to manage their complete job search campaign. Far too often, it is easy to sell clients just what they ask for, assuming if they wanted or needed more, they would tell us. But most people will job search only a few times in their lives, leaving them clueless as to what they really need. Sure, they KNOW they need a resume. But they have probably been led to believe the resume is the “magic” bullet. Minimize your risk of client dissatisfaction by providing a complete strategy solution. Increase your revenue per client (with less scrambling for dollars per hour). Help clients to be as successful as possible in their job search. Figure out how to get started and what resources you need (and where to find them). Why you need to sell complete solutions to lower your risk of chargebacks and client dissatisfaction while increasing your revenue per client. Most popular documents and items to include in your packages. Who needs a package (and who doesn’t). What to do to offer complete solutions now, even if you aren’t a coach or a resume writer. Ways to find additional wholesale products/programs to enhance your packages. Resources for free items to boost your packages. Ideas for converting the knowledge you give away now into bonus value-boosters for your packages. What documents, scripts, e-books, forms, assessments, coaching, and etc., you could/should be offering. No registration required! Download it now for free! Like what you see? For a limited time you can join CDI at a $120 savings! Enter code RISE19 at checkout. It’s been a little more than two years since I joined CDI and I must say that it has been the best thing I’ve ever done for my business. The educational resources, professional relationships, and subcontracting opportunities have enabled me to rapidly build my business from a small sideline practice into a thriving operation with a steady flow of business. When I hear people in other businesses complain about how slow things are, I simply can’t relate.